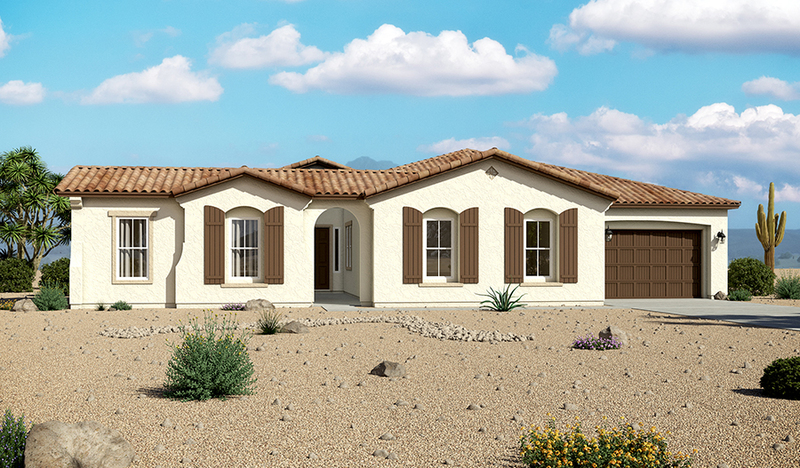 This ranch-style model home makes a great first impression with a Spanish-tile roof and paver-stone driveway and courtyard. Other highlights include herringbone wood-look flooring, an elegant foyer with a vaulted ceiling and a great room with multi-slide doors overlooking a covered patio with water feature. The gourmet kitchen offers abundant cabinets, and a butler's pantry with wet bar leads to a formal dining room. The lavish master suite boasts tray ceilings, a wet bar and a private bath with an extended walk-in shower with two rain showerheads. Includes a dedicated guest suite!